This has been such a popular post that I decided to update it a bit and republish. We’re a fairly large family (7 people, soon to be 8 this summer) and even though we don’t eat eggs every day, we can go through a lot of eggs in one sitting. For years, I was just tossing them in our trash, not thinking about how I could reuse eggshells. until I started doing some toxic free pest for my rhubarb and I discovered that eggshells were not only a great way to keep pests like snails and slugs away, they are also very beneficial for the soil if you’re planting a garden. 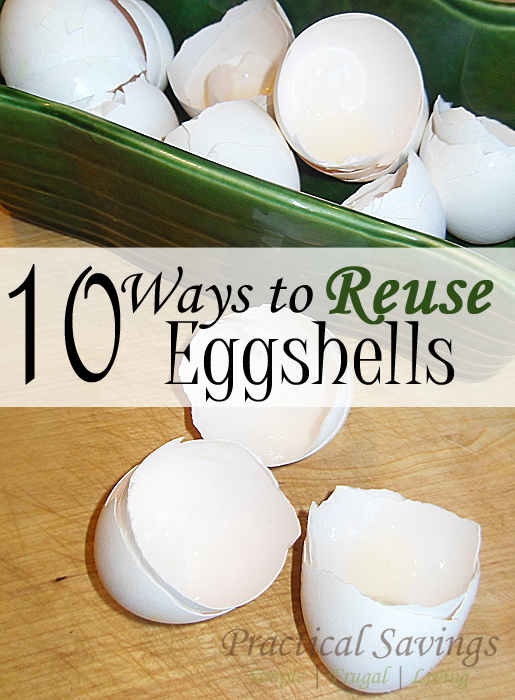 I was thrilled to find an easy, frugal, toxic-free option that allowed me to reuse eggshells. Needless to say, I stopped throwing away all our shells and started saving them. That resulted in boxes and boxes of shells since I left them uncrushed. As we were decluttering the laundry room to make room for our 5-gallon storage unit, my husband brought the boxes down and started dumping the shells into a 5-gallon bucket. The kids, in turn, started crushing them (great way to keep hands busy, by the way). I now store our eggshells in a 5-gallon bucket, where they are ready and waiting for spring to come and the fun but pesky snails and slugs to make their debut. I have had great success in saving my rhubarb by sprinkling a nice coating of shells around the base of my rhubarb and a few other plants every year. Composting: eggshells will add calcium and other minerals to your compost pile. Pest Control in the Garden: this worked so well for us in our garden – the slugs left our plants alone, giving the seedlings a chance to grow. Seedling Starters: Just add a little dirt to a mostly intact shell and plant a seed in it and just think, you can reuse your egg cartons to hold the starters – all biodegradable! Abrasive Cleaner: Crush the shell and add to some soapy water to use on things like stainless steel sinks, pots, etc. Drain Clearer: Finely crushed shells will help keep your drain clear. Smoother Coffee: Adding crushed shells to your coffee grounds helps with the acidity in the *coffee. Boiled Egg Water: After boiling eggs, use the water in your garden or around your plants to add calcium and help build up your soil. Feed the Birds: Birds will love the shells (you can also feed them to your chickens, just crush them up first). Gardens: Just like shells are good for composting and pest control, they are also good just to add to the soil around your tomatoes and peppers so even if you don’t have the insect/bug pests or compost pile, they are still good to add to your plants! Crafts: You can try to keep the egg whole by blowing the white and yolk out (I remember watching my mom do this when I was little) or you can crush the shell to use for mosaic pieces. *Remember: if using shells in something you will consume, only use boiled shells, otherwise you run the risk of a salmonella infection. 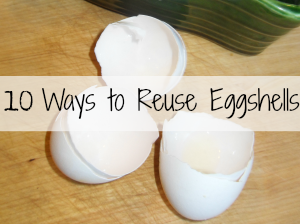 There are all kinds of ways to reuse eggshells! I wish I had discovered this years ago but now that I know, we’ve been saving our shells for months now and have quite the collection. Have you discovered other ways to use eggshells? 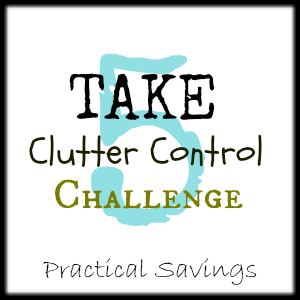 Looking for ideas to reuse other things that you might be tossing right now? Check out 7 Tips for Reusing Coffee Grounds as well as Growing Your Own Food, week 22 of the 52 Week Money Saving Challenge for some gardening tips. My Shaklee toothpaste uses eggshells! I never thought of using eggshells for cleaning. How interesting. Thank you for sharing. I'm not familiar with Shaklee beyond just hearing the name. Great information, especially for the garden. Thanks! You can also use egg shells in homemade chicken broth! Very healthy! Thank you for sharing that tip! Kelly, You can cut down the size of you egg storage container by placing the shells in a blender. 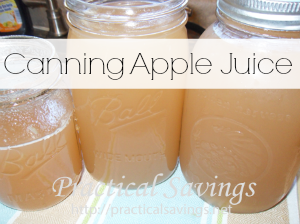 It will turn them into a powder that is easily stored and spread onto your garden in the spring. Exactly how I do it! I have a blender beside my stove just for shells. After I crack the eggs to cook I turn the shell upside down for 20-24 hrs to dry-in the biodegradable egg holder (I found out if I grind them right as I use them they stick to the inside of the blender and is hard to get off) then grind them the next morning and use around my tomatoes! Remember if you have chickens to feed them back to the chickens. More calcium for their egg making and keeps them more satisfied so they won't break their own. I have just got chickens. They are 7 weeks old. Are you telling me I can save my egg shells and feed them to my chickens even if I want to be organic feed ? DO NOT EVER feed your chickens egg shells. It will cause them to start eating their own eggs for the shells. Trust me, this is true. Don't do it. You can feed your chickens egg shells! Just crush them up so they don't look like eggs! I have read this CAN happen, but usually people that put leave whole eggs in the coop. I've heard of SO MANY PEOPLE that feed crushed eggshell just fine. It's very similar to giving them crushed oyster shells for calcium (both are made of calcium carbonate). As long as you crush your egg shells, you can give them to your chickens. They don't associate crushed shells with eggs. This won't cause them to eat their own eggs. I've been giving my hens crushed egg shells for over a year and haven't had them eat one egg. I have found that our chickens only peck at the eggs that are damaged or defective in some way. They have never eaten their own healthy eggs. We give them eggshells all the time without crushing them first. just make sure to wash and crush eggs first. Whats more organic than eggshells from organic chickens? I run my eggs through a food processer to crush extra fine for my girls. True, Mary. Thank you for sharing. Do not feed the shells to your chickens - it wil give them a taste for their own shells - which they WILL eat. I have fed my chickens their crushed up eggshells for years. Never once have they tried to eat their own. Just put them in your oven to dry any egg remnants and then crush them. I put them in a old stainless steel pot & crush them with my pampered chef meat tenderizer...or use the food processor. Works great and your layers will reward you with some thick shells! If you feed them to your chickens crush them and bake them in the oven until they are browned otherwise the chickens will start pecking the eggs they lay. The shells need to be dry and well crushed, else the chooks may attack their own eggs. We've had that happen and its very difficult to get them out of *that* habit. My husband told me that you can put crushed egg shells around rose bushes and it will help them grow better. I did that last year plus two other additions and the roses bloomed way past fall. They are beautiful! Thank you for sharing, Belinda! I love roses and hope to add some to our yard eventually. I used crushed egg shells around my tomatoes last year and had the best crop ever!!! also use your old coffee grounds in the ground up shells in the garden or compost pile. Hi, since you are into all things reused, thought I'd mention I had Alaskan King Crab last night, and wondered about reusing the shells in the garden. I researched it today, and, yes, Google showed lots of ways to use crab shells in the garden. Thank you for your tips. Kelly, can you please clarify the last warning statement below your list of 10...that states if using eggshells around edible plants/foods make sure the eggs are boiled. So just raw eggshell (where the eggs were used for baking) can not be crushed up and used in the garden due to salmonella risk? Is this really true? So only eggs that have been hardboiled can be used in garden?? Just a note about using the water you used to boil eggs to water your garden: Please remember NOT to do this if you add salt to your water. Salt renders the soil barren. It will KILL your plants. I found this out the hard way. Also: You CAN feed eggshells to your chickens without causing them to begin eating their own eggs; just crush the shells first so they do not look like eggs. I have a pie pan lined with foil that I toss egg shells in. When it's full I pop it into the oven and bake them @350 for fifteen minutes (or a few hours if I'm on Facebook and forget them). Not only does that sterilize them but it makes them extremely brittle. Into the food processor and pulverize them, then into the garden or into the free feeder for the chickens as a calcium supplement. The egg shells should be "baked" before feeding them to chickens. All you have to do is lightly brown them in the oven. You can crush them or leave them whole but feed them crushed. Thank you for that suggestion. We always made sure they were completely dry but never baked them. Sarah, I do a several inch wide circle around my rhubarb to keep the snails away. I crush them up into small pieces and sprinkle them in a fairly thick layer around the plant. I haven't had problems with wind or animals using them this way. My rhubarb is also right next to the house, so that helps block wind. Hello there! This post couldn't be written any better! Going through this article reminds me of my previous roommate! He constantly kept preaching about this. I will forward this article to him. Fairly certain he's going to have a great read. Thanks for sharing! I toss my egg shells out the back door. My two dogs lick them clean and chew them up. They get worked into my soil here and there, plus I have two large bags of crushed shells to use this summer in the garden. Great post, Thank You! What a great tip, Gail! Thanks for sharing. I've never been ice fishing but I could see how that would work if the water isn't too deep. I am reading a cookbook for my dogs and it recommends pulverized egg shells in the recipes for the added nutrition. What was the name of the book, Nancy? That's great to know. Oh no, Carlie! We no longer have a dog so I don't have any tips for you. Hopefully, you can find a way to resolve that, though. I can only imagine how frustrating that would be to have your garden dug up. I have used eggshells to fight tomato blight. I was told it was a calcium deficiency. 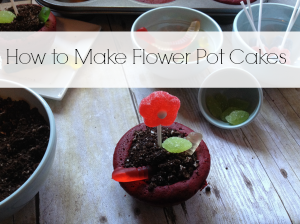 I also throw a little powdered milk along with the egg shells in the hole when planting. Worked for me! I'm a first-time vegetable gardener, and the eggshells are doing wonders for my green zucchini. I also add used coffee grinds which add nitrogen to the soil. Using both items is making my vegetables & flowers thrive! God bless. Do you wash our rinse the used egg shells before stirring them? Regarding Roses and banana skins. When planting a new rose bush place the skin of a banana into the hole first right at the bottom. If planting bare rooted lay in the hollow not on the mound. Roses love the nutrients they gain from banana skins. I make a 'smoothie' from eggshells,coffee grounds and banana skin plus water in my liquidiser to feed my clematis plants and they give a show-stopping performance every year. Do egg shells need to be cooked before using in the garden to prevent salmonella? Installment Loans: Helpers or Not? If you feel need in cash at present, the most reliable method to receive it is to address to installment loans that have been historically reputed as the most working and well-timed for really big purchasing. In this case, installment loan constitutes a close-end loan, supposing a fixed timeframe for start and finish, which will be identified within the applying process. Everyone can pick out how often he will return the money. As an example, one might have the loan, being formed in the form of a payment per month with 36 similar parts during 2 years. Analysing varieties of installment loans, you might pop up between secured and unsecured one. Unsecured type presents itself signature loan since it would be drawn up only by signing the contract and verifying your aims this way. Secured loan type must be substantiated by bail-piece that can be seized in the event of unforeseen consequences. Let's analyse an example, automobile loan is usually protected by the automobile you borrowed cash in hand for. That's why [url=https://maybeloan.com/installment-loans/mn-usa-il]long term installment loans in MN[/url] constitute a helpful rescue to get money at favorable rates. Ideas to Apply for Installment Loans with Bad Credits To tell the truth, you decide on just 2 alternates. The first one is to go to a banking establishment. Still, take into consideration that the motives for applying for installment loans are a bit confined: mortgage, auto, student, and private loans. To add to it, banking establishments dispose particular requirements for these borrowings, especially if you want an unsecured type. Borrowers with marginal credits have to provide a co-maker must be creditworthy and reliable. Furthermore, banking establishments ask for a irritative and tedious application process that won't do if you hurry. A good idea and efficient decision in this case is to rely on our convenient online services and receive installment loans without bad consequences. We guarantee the most appropriate conditions for your precise state of affairs, offering great advantages and prerogatives. You can check it! Advantages of Having Installment Loans at Our Site Due to us, you could depend on these values: Simple and quick|Quick and easy. Our portal esteems your time and tries to economize it by rendering convenient online application process. As you can't wait for several weeks to obtain 'approved' and have your cash , we provide well-timed answers and solutions from lenders. Ready money at hand. Our conditions are flexible and client-oriented; therefore, we dispose a upright working scheme and no additional fees, meaning that we provide money assistance when you need it above all without any questions. Creditors for your state of affairs. We collaborate with reliable and approved creditors from all over the U.S., who are ready to be helpful for you!| Less than perfect score is not the last verdict. While the majority of banking institutions and creditors tell you 'no' and deny loan, we will do our best to pop up the most fitting decision for you. We have respect for every our client and desire to render an individual approach! 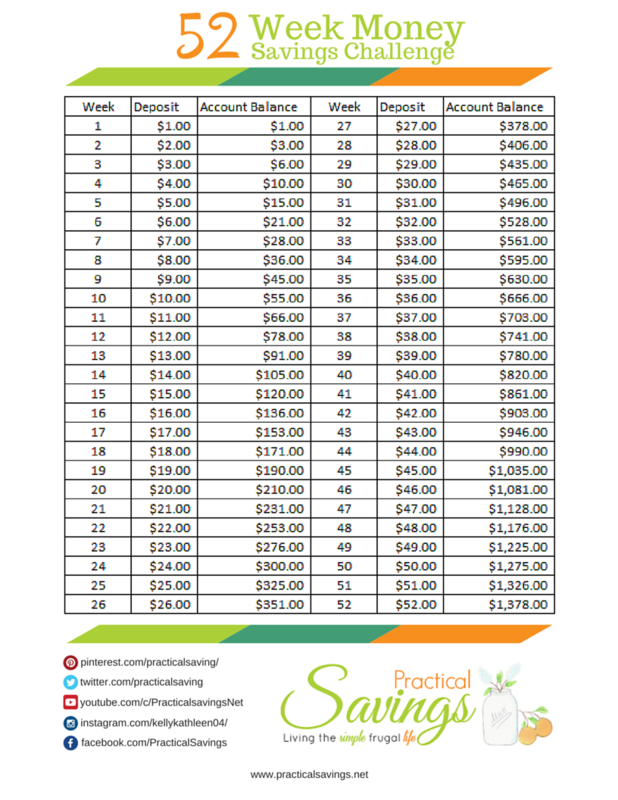 Payments you will be able to afford. Do you remember these large charges, scanning rivals' services? We are aware of them as well! Thus, we prefer to worry about customers than to make money on their difficulties. No credit checks. We realize why you've ask us for assistance; therefore, we don't evaluate your score by providing you a chance both to have money and improve your credit score for future plans, depicting what a reliable borrower you are! Reflect upon Installment Loans? Don't hesitate and keep in touch us to get more data about installment loans and terms [url=https://maybeloan.com/installment-loans/me-usa-il]https://maybeloan.com/installment-loans/me-usa-il[/url] . Our consultants are online on the round-the-clock basis and usually wish to help you and so you will see an answer very fast. Don't count on the better times to have finances, create them straight away with us! Egg shells added to the water that will be used on your plants is benefitial. I use it in my small greenhouse hand crushing about a dozen into my 20 gallon water tank. Maybe it's the leftover white in the shell? I've heard is good for house plants as well.